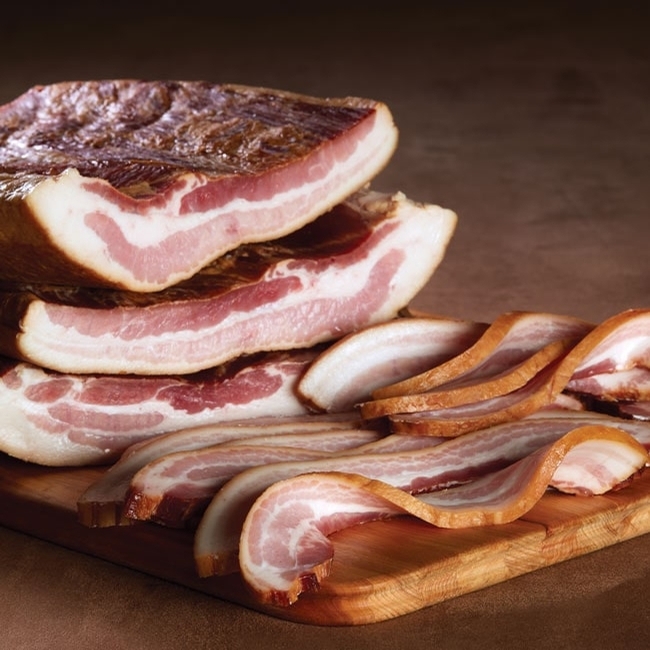 What's better than our Original Smokehouse bacon? How about more of a good thing? Our thick cut bacon is a terrific new way to add our famous corn cob smoked flavor to your favorite recipes. We start by selecting only the leanest, most flavorful meat available in North America. Then we cure our bacon using a secret recipe that has been passed down for generations. We slowly smoke each slab of bacon over corn cobs and maple embers, just as we do with our famous hams. 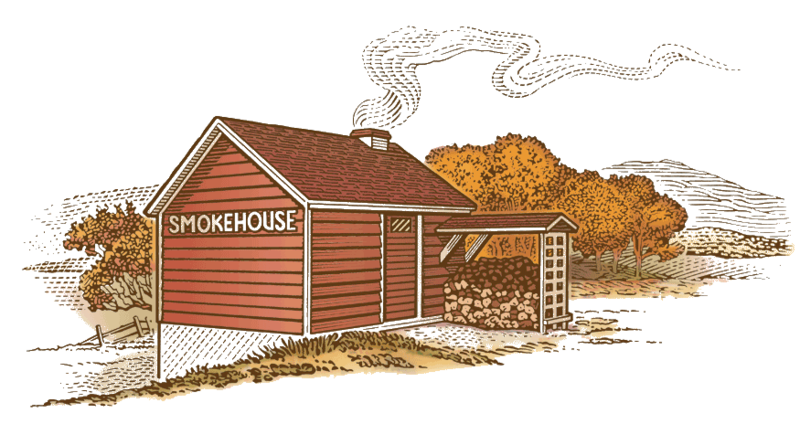 The sweet smoke permeates the meat with a one-of-a-kind flavor that you'll savor with every bite. The thicker slices hold their shape - you'll love adding them to BLTs, burgers and breakfast sandwiches. And they make deliciously meaty bacon bits for adding to salads and casseroles, too! Thick Sliced Bacon, 2 lbs. Thick Sliced Bacon, 3 lbs. Thick Sliced Bacon, 5 lbs.